Buying a brand new car is always exciting. 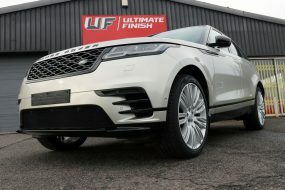 There are many cost options currently offered by dealerships including various paint protection products, usually described as “a sort of Teflon coating for paintwork, which means you won’t have to polish your car for about three years”. As anyone who’s ever bought one of these “coatings” knows, they’re usually more trouble than they’re worth! We’ve seen vehicles where the “protection” has worn off in patches, allowing water ingress under the remaining layer causing paintwork staining. And once it’s there is very difficult to remove! Welcome to the revolution! A New Car Protection revolution where Gtechniq C1 Crystal Lacquer + is very much taking the scene by storm. Crystal Lacquer + is a quartz based sealant which dries very, very hard (hard as quartz, surprisingly!) 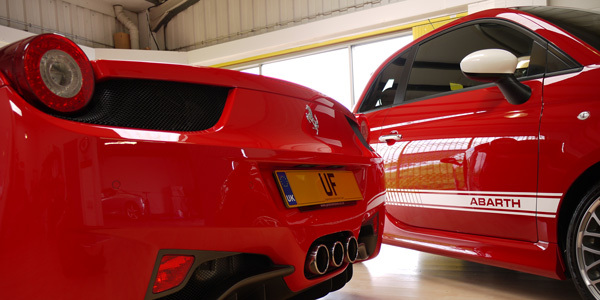 to form a truly long lasting protective layer over your paintwork. 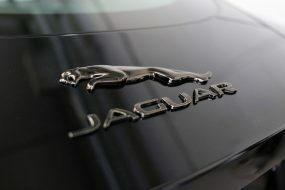 In fact, during testing it was found to last up to TEN TIMES longer than dealer-applied products. 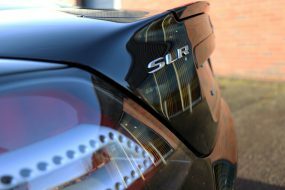 The sub-micron crystalline layer is extremely resistant, inhibiting scratches and swirls from finding their way on to new paintwork. 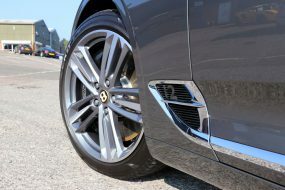 And it’s not just paintwork that can benefit from this kind of protection; alloy wheels can benefit from C5 Alloy Wheel Armour, glass gets the treatment with G1 ClearVision Screen Kit, and plastic trim is protected with C4 Permanent Trim Restorer. 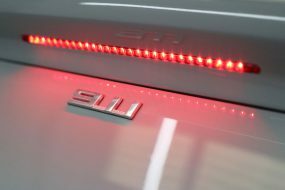 There are treatments for the interior too with I1 SmartFabric Coat and L1 Leather Guard. When it comes to all-surface protection Gtechniq products have everything covered! For some time now the Ultimate Detailing Studio has offered a New Car Protection Detail service incorporating Gtechniq products. 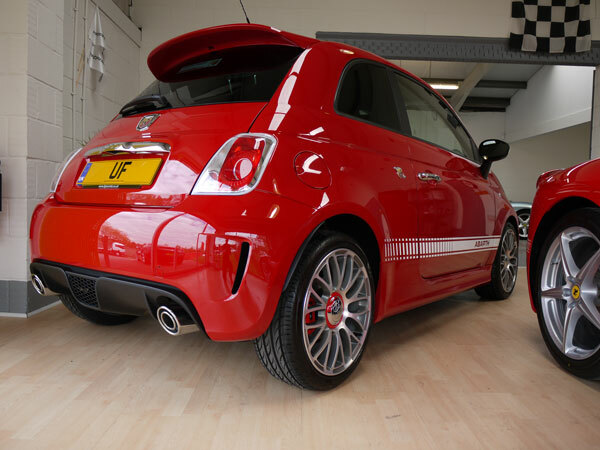 The latest gem to receive the full treatment at our Brands Hatch Studio is this fabulous example of the Fiat 500 Abarth, in Passadoble Red. It’s Only A Microfibre, Right?